When I tell people that I work in the nuclear sector, there is often a misconception that it is impossible to dispose of nuclear waste safely. This is where RWM comes in. We are a group of talented technical people and world-renowned experts whose job and number one priority it is to keep the UK safe from nuclear waste. Within RWM there are different sub-groups and teams. I’m a chartered physicist, and it’s my job to prove that a Geological Disposal Facility (GDF) will not cause any harm to people or the environment. Geological disposal involves isolating and containing radioactive waste in sealed vaults and tunnels deep underground, between 200 m and 1000 m below the surface. This prevents radioactivity from ever reaching the surface in levels that could cause harm. 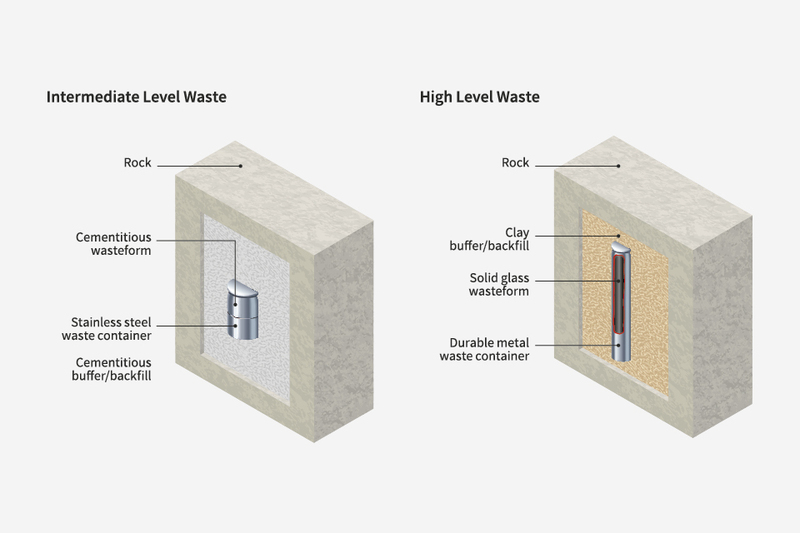 Solid radioactive waste is packaged in secure engineered containers, typically made of metal or concrete, and then placed in a stable rock formation, with the containers surrounded by clay or cement. This is called the multi-barrier approach. The GDF safety case is a series of documents, available for everyone to read and covering all aspects of safety – how we will build the GDF safely, fill it with radioactive waste, seal it and how we can be sure that it will keep us safe while the radioactivity decays to negligible levels. And not just safe in theory, or when we build it, or for 10 years after we seal it up, but for hundreds of thousands of years into the future! So how do we do this? Well, it takes a lot of hard work and a lot of people from all sorts of different backgrounds. We work with geologists and hydrogeologists, engineers and mathematicians, as well as chemists and physicists. The fact that countries all around the world have waste that needs to be disposed means that we can work together and learn from each other to ensure world-wide standards of safety. Most countries agree that the safest permanent solution to manage higher activity radioactive waste is geological disposal. This is already the chosen approach in Canada, Finland, France, Sweden and Switzerland. Some of these countries are well on the way to developing their own GDFs. I’m proud to say that Britain is considered one of the leading countries in the fields of waste disposal and safety cases. This has given me the chance to travel extensively in the years since I joined RWM’s predecessor organisation in 1995, and I am fortunate enough to have been given the opportunity to chair the Integration Group for the Safety Case (IGSC), a group of international safety case experts. We meet once a year, this year in Rotterdam, with scientists from all over the world. We have groups affectionately dubbed the ‘Clay Club’ and ‘Salt Club’ whose job it is to make sure that the GDF is just as safe in all kinds of rock, as well as an expert group on operational safety. These meetings are a great opportunity to pool and share ideas, knowledge and standards between countries. A perfect example of this is the Nuclear Energy Agency FEP database project. A ‘FEP’ is any feature, event or process (in other words, pretty much anything that could possibly happen) that could affect the safety of the GDF in any way. All countries contribute and agree to these so that we don’t miss anything important, and most use this database as the foundation upon which to build their safety case. RWM is heavily involved in these groups and is at the forefront, constantly pushing forward with new research and ideas. This year, I’m excited to say that we are sponsoring the event in Rotterdam, and I’m looking forward to seeing how we can progress our ideas by collaborating with all the attendees. I feel we are really fortunate in RWM to have a job to do that is intellectually challenging, crucially important and extremely rewarding. I’m thrilled to be able to share my experiences via this blog, and will be posting the latest news on safety and any further developments in this area, so that you can see what I’m up to. It can be unfair to focus unduly on specific forms of words. But given the nature of the issues and the evident intent of this article, it does seem significant that the author says the following: "I’m a chartered physicist, and it’s my job to show that a Geological Disposal Facility (GDF) will not cause any harm to people or the environment"
Note, it is not said that "it is my job to ensure", but that "it is my job to show". At the very least, this implies a concern more with presentation than with substance. In a piece like this, that alone is pretty illuminating. Worse than this, this kind of statement may inadvertently reveal a highly unscientific prior assumption, sadly often apparent in this field, that existing plans and institutions are self-evidently safe. For scientists to assume this, would make it more difficult for science to find otherwise. And at worst, this kind of statement, taken in itself, raises the question of how a government physicist who sees it as their job to "show" the public that there can be no harm, can actually be relied upon to communicate accurately in the event that some part of the evidence might suggest otherwise. In these terms, to be frank would mean not doing their job. All the more clear for being inadvertently conveyed when the opposite message is intended, then, this offers a neat example of how science is in danger of being reduced by these kinds of political pressures to a branch of public relations. Whatever side one might be on in debates about nuclear technology, we are all - alongside democracy itself - the losers from this. Thank you for your comments regarding our blog about the safety case for a geological disposal facility - RWM welcomes your feedback and are happy to encourage open, honest and transparent debate about this vitally important issue. If you would like to engage with us further on these, or any other matters of concern, please do get in touch via our link on the Issues Management website. Microbial activity, water ingress and egress and criticality are other hurdles which have to be overcome and the RWM is currently attempting to resolve dozens of scientific and technical uncertainties about the safety of disposal, some of which are potential 'show stoppers'. Radioactivity clearly does and will reach the surface, as you admit. You then claim that the levels of radioactivity reaching the surface would be at a level which could not cause harm. There is no scientific consensus which supports this claim. 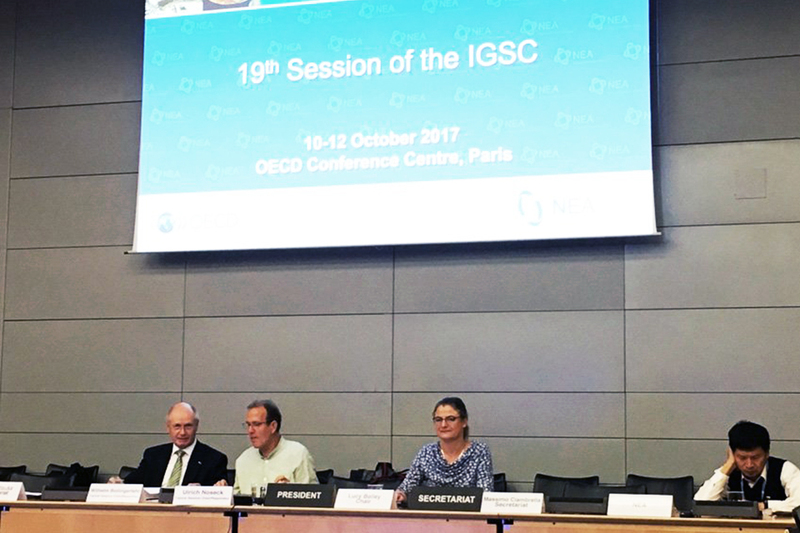 The jury is out on the health impacts from exposure to low level ionising radiation, particularly on the young. In fact, the body of evidence pointing to greater harm than is acknowledged by ‘experts’ is increasing in respect of cancer and genetic malformations. It is telling that the UK ‘expert’ body, the Committee on Medical Aspects of Radiation in the Environment (CoMARE), flatly refuses to engage their critics in a programme of joint-fact-finding to establish something approaching a consensus view. Worrying as these omissions are, it is staggering that you have not found it necessary to draw attention to the fact that the Swedish Environmental Court has refused to give an authorisation to the use of copper cladding for spent fuel - the same option being pursued by RWM - due to fears about corrosion. Unless there is candour, honesty and transparency in the nuclear waste debate, the division between 'experts' and any potential GDF host community will not only grow wider but will rightly be seen as further evidence of the nuclear industry's duplicity and bias in a debate which will affect us all in one way or another long into the future. The message that 'disposal is safe' is subjective if not misleading and one which is peddled by the Environment Agency as well as RWM. Demonstrate its safety, please, in terms that potential host communities can grasp and to a body which includes critics and non-nuclear industry experts, before making unsubstantiated claims. Although geological disposal is internationally recognised and accepted as the safest and most secure option for the long-term management of radioactive waste, we recognise that a number of stakeholders do have concerns and that we also need to be open to advances in technical understanding. Our Issues Management process has been specifically developed to enable any of our stakeholders to engage with us on technical matters of geological disposal which concern them. You will find responses to many of your points <a href="https://rwm.nda.gov.uk/issues/">here</a&gt; If you would like to engage with us further on these, or any other matters of concern, please do get in touch via our link on the Issues Management website. This statement needs correcting: "I’m a chartered physicist, and it’s my job to show that a Geological Disposal Facility (GDF) will not cause any harm to people or the environment." It should either read: "I'm a chartered physicist, and it's my job to determine whether a facility is safe enough to prevent harm…"
Or: "I am a PR expert, and it's my job to show that a facility will not cause harm." Thank you for your suggestion regarding our blog about the safety case for a geological disposal facility - RWM welcomes your feedback. In the context of the need for enhanced transparency and openness, and in order to build trust in this contested process, it would be helpful to be able to see all comments posted. I wonder, will this be achieved anytime soon ? Thank you for your comment - RWM welcomes your feedback and are happy to encourage open, honest and transparent debate about this vitally important issue.